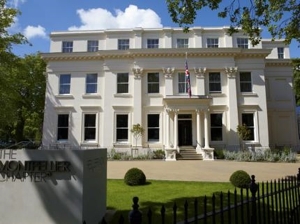 There are a plethora of options for those looking for luxury in and around the beautiful town of Cheltenham with two five-star hotels and ten four-star hotels on offer. 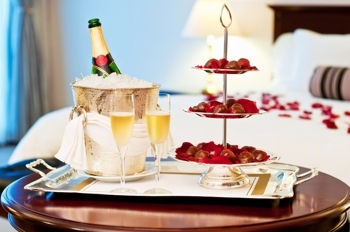 The hotels vary greatly in character and charm, but all provide a luxury service and customer relations for its guests with a vast array of amenities available to tailor to the individual. From gourmet restaurants led by top notch chefs (one of which who has even served the Queen herself! 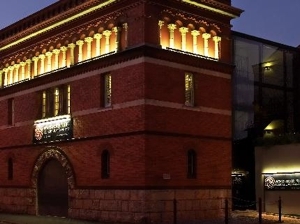 ), trendy bars that serve up a range of delicious and inventive cocktails and health spas with treatment menus and spa packages – you’ll find yourself very relaxed in any of these beautiful hotels. The room accommodation is also stellar with luxury amenities and toiletries included with most rooms. There are also a range of suites on offer for those staying for longer periods and would like that extra bit of space and comfort. Below we provide a list of the 4 and 5 star rated hotels in Cheltenham for those who seek the finer things. 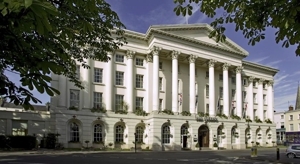 Each as unique as the next, there is truly an option for everyone in the regency town of Cheltenham when it comes to luxury hotels. 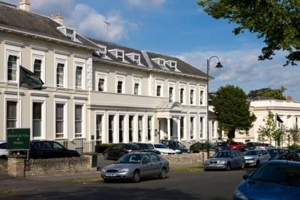 There are two wonderful options for those seeking five star luxury in the beautiful Cheltenham area. Both hotels are housed in historic buildings and provide well-appointed accommodation for those seeking a bit of indulgence. 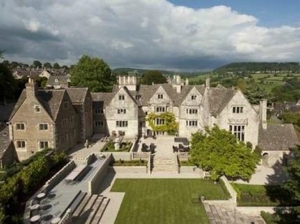 With all of the standard amenities and then some, guests will feel completely relaxed and at home at Ellenborough Park Hotel and Wyastone Hotel Cheltenham. 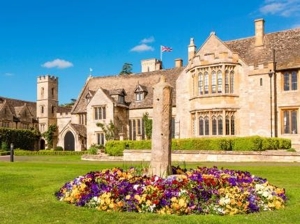 Ellenborough Park is the top choice for 5-star extravagance in Cheltenham. Located within a magnificent 1500’s country manor house, the hotel provides luxury accommodation alongside a tranquil spa that provides a wide array of treatments and luxury packages, as well as gourmet restaurants. It is also a beautiful venue for weddings and conveniently located to the famous Racecourse. 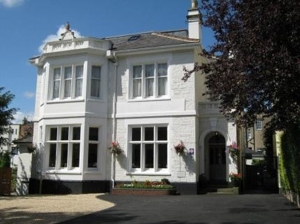 The Wyastone Hotel Cheltenham is just a short stroll from the picturesque Montpellier Gardens. With 16 well appointed rooms in an old Victorian building, the Wyastone is an excellent choice for those seeking luxury accommodation with that ‘at home’ feel. The hotel provides breakfast in an elegant dining room and also has a sleek bar with an open fire, which is lit in the winter months. For those seeking affordable luxury, look no further. Cheltenham has many beautiful 4-star hotels all providing an array of historic charm, boutique luxury and differing amenities without the supreme price tag. Many of these hotels also offer gourmet restaurants and room service, as well as tranquil health spas and gyms. While each hotel differs greatly in what it has to offer, as well as the overall character of the hotel, each 4-star hotel provides superb customer service and are excellent options for those staying in Cheltenham and want a bit of luxury. 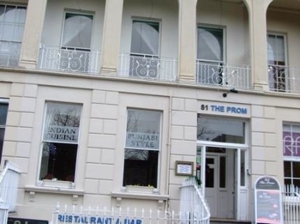 In the heart of Cheltenham overlooking the Promenade, 81 The Prom Hotel provides excellent 4-star accommodation without the hefty price tag. The hotel itself has a wonderful Indian restaurant, as well as a trendy bar that serves up delicious cocktails. With views across the city and up-to-date rooms, 81 The Prom is a great choice for those desiring a lovely retreat in the middle of the city. 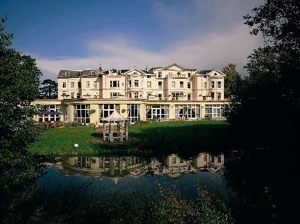 The Cheltenham Park Hotel is located on the southern edge of Cheltenham in a former Georgian manor house. The hotel provides excellent four-star accommodation with a health club, 24-hour room service, a restaurant with picturesque views and premium rooms for very reasonable prices. 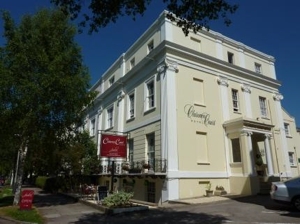 Located in a Grade II listed building once owned by the Duke of Wellington, the Clarence Court Hotel provides elegant accommodation on a quiet tree-lined street in Cheltenham. The hotel has a restaurant and bar and gives its guests unlimited access to the local Fitness First. The hotel is even pet friendly and a great place for families with rooms that can cater for up to five people. The Cotswold Grange Hotel offers 24 beautifully designed rooms in impressive 19th century building. The hotel offers free parking, a delightful British restaurant, a casual bar and meeting rooms for those visiting on business. The hotel is conveniently located in the heart of Cheltenham with easy access to many of the shopping areas and the Cheltenham Racecourse. 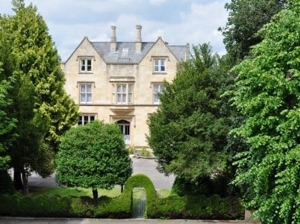 Further afield in the village of Painswick, Cowley Manor Hotel provides a stunning backdrop in a Grade I manor house for those visiting the Cheltenham area. With luxurious rooms presented in a traditional style with exposed beams and up-to-date facilities, Cowley Manor is a terrific choice for those seeking 4-star luxury with historic charm. Hotel de Vin Cheltenham provides luxurious and boutique accommodation in the fashionable Montpellier district of Cheltenham. The hotel features a grand spiral staircase and 49 well appointed rooms with a restaurant that not only presents elegant dining options, but also pays tribute in design to the famous Cheltenham Racecourse. The hotel also features a lavish health spa with luxury packages available. The famous Mercure Group provides an excellent choice for travellers seeking 4-star amenities in the centre of Cheltenham just along the Imperial Square and Gardens. The Mercure Queen’s Hotel was named in honour of Queen Victoria and the palatial Grade II listed building is sure to leave you feeling like royalty. The hotel also offers a restaurant with traditional British cuisine using the finest seasonal ingredients, as well as a bar that provides an excellent selection of drink options. Strozzi Palace is an Italian boutique hotel in Cheltenham’s town centre near to the well-to-do shopping districts, such as the Montpellier District. The hotel features six luxury suites with kitchenettes for extremely reasonable rates – ideal for someone staying in Cheltenham for both a short or long stay. The hotel also grants their guests access to the local Fitness First and is within reach to many of Cheltenham’s fashionable restaurants and shopping districts. 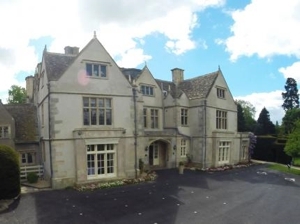 Located in the outer village of Shurdington, the Greenway Hotel & Spa is situated within a charming Elizabethan manor house. With a restaurant that has served the Queen, a lovely brasserie and a tranquil spa, the Greenway is an excellent 4-star option just outside of Cheltenham. From standard rooms to a penthouse with a private terrace, the Montpellier Chapter has an excellent range of choice for its guests seeking a clean, comfortable and luxurious hotel. The hotel is located in the fashionable Montpellier District in a beautiful regency villa. It also provides a gourmet British restaurant that also serves Afternoon Tea, as well as a relaxing health spa.